Golden Coffee – brain boosting and anti-inflammatory. YES! You see, I’ve been drinking a coffee shake drink for the past couple of years. I make it most mornings. But, lately, I’m adding a new twist to it. I didn’t think it’d taste very good, but I tried it, and ya know what? It’s friggin’ great! I don’t even know it’s in there (and neither does Greg – hehe). 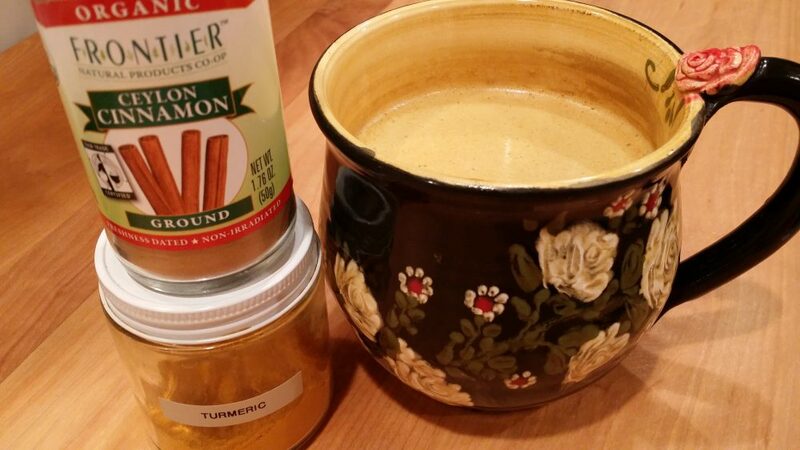 Now, I’m hooked, because it’s an easy way to get the anti-inflammatory and brain-boosting turmeric into my diet – daily! And, if I have a decaf bulletproof coffee at night, which I’m known to do because it’s satisfying like a dessert even though there is no sugar in it, then I’ll get a double serving of turmeric. <– Bring it! I named it Golden Coffee because it reminds me of Golden Milk, an ancient healing recipe where you heat some form of milk (dairy or non-dairy), plus ghee, turmeric (or turmeric paste), and honey. After making my first cup of Golden Coffee, it reminded me of Golden Milk both in color and ingredients. I brew my coffee using this brilliant Technivorm Coffee pot with freshly ground beans from this Breville Burr grinder. Blend it all up and enjoy. 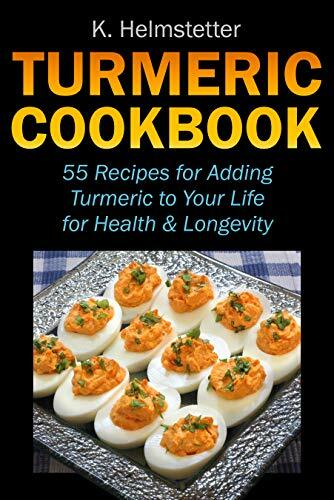 Get my book Turmeric Cookbook NOW!